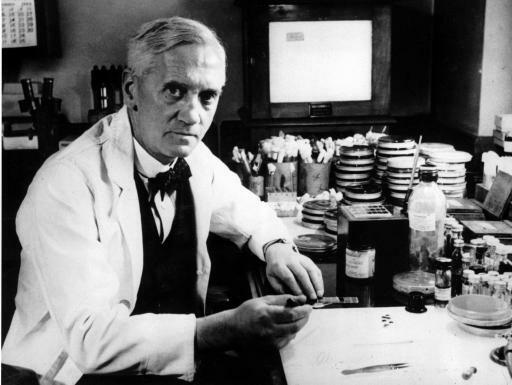 On this date in 1928 Sir Alexander Fleming, according to his own account much later, noticed a bacteria-killing mold growing on a petri dish in his laboratory thus discovering what he later called penicillin. There are many BIG MOMENTS like this documented in the history of ideas that are not really quite the turning points they seem to be in hindsight. The actual development of effective antibiotics was years away from Fleming’s chance discovery, and there’s some doubt as to how much it was a pure accident. Even so, we can celebrate the day anyway. For centuries, but especially in the late 19th century, there had been numerous accounts by scientists and physicians on the antibacterial properties of different types of molds, including the mold penicillium, but they were unable to discern what process or ingredient was causing the effect. The traditional version of Fleming’s discovery paints it as a serendipitous accident, but many skeptics have questioned the extent of the serendipity. While it is likely true that by chance Fleming noticed a petri dish containing Staphylococcus, which had been mistakenly left open, had been contaminated by blue-green mold from an open window in his laboratory in the basement of St Mary’s Hospital in London (now part of Imperial College), and that there was a halo of inhibited bacterial growth around the mold, it was not a groundbreaking conclusion that the mold released a substance that repressed the growth and caused lysing (rupturing of the cell walls) of the bacteria. Surely he would have known of previous accounts of the antibacterial properties of molds. 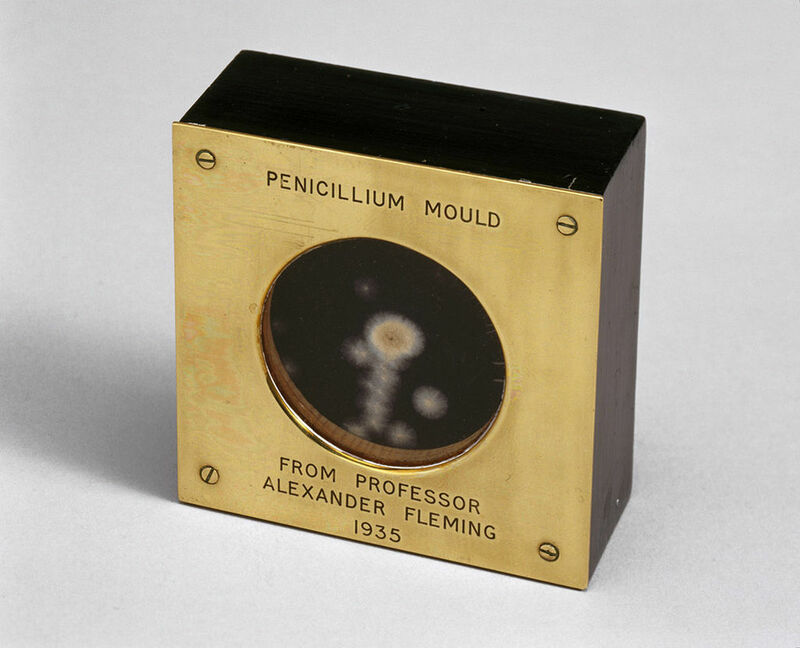 Once Fleming made his “discovery” he grew a pure culture of the intrusive growth and found that it was a Penicillium mold, now known as Penicillium chrysogenum. Fleming coined the term “penicillin” to describe the filtrate of a broth culture of the Penicillium mould. Fleming asked C. J. 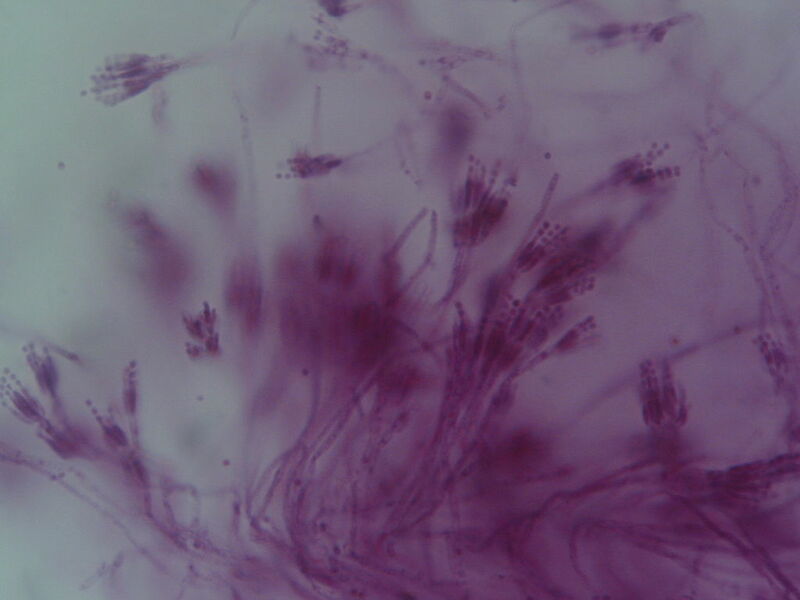 La Touche to help identify the mold, which he incorrectly identified as Penicillium rubrum (later corrected by Charles Thom). He expressed initial optimism that penicillin would be a useful disinfectant, because of its high potency and minimal toxicity in comparison to antiseptics of the day, and noted its laboratory value in the isolation of Bacillus influenzae (now called Haemophilus influenzae). Fleming was a famously poor communicator and orator, which meant his findings were not initially given much attention. He was unable to convince a chemist to help him extract and stabilize the antibacterial compound found in the broth filtrate. Despite this, he remained interested in the potential use of penicillin and presented a paper entitled “A Medium for the Isolation of Pfeiffer’s Bacillus” to the Medical Research Club of London, which was met with little interest and even less enthusiasm by his peers. Had Fleming been more successful at making other scientists interested in his work, penicillin for medicinal use would probably have been developed years earlier. Despite the lack of interest of his fellow scientists, he did conduct several more experiments on the antibiotic substance he discovered. The most important result proved it was nontoxic in humans by first performing toxicity tests in animals and then on humans. His following experiments on penicillin’s response to heat and pH allowed Fleming to increase the stability of the compound. The one test that modern scientists would find missing from his work was the test of penicillin on an infected animal, the results of which would likely have sparked great interest in penicillin and sped its development by almost a decade. 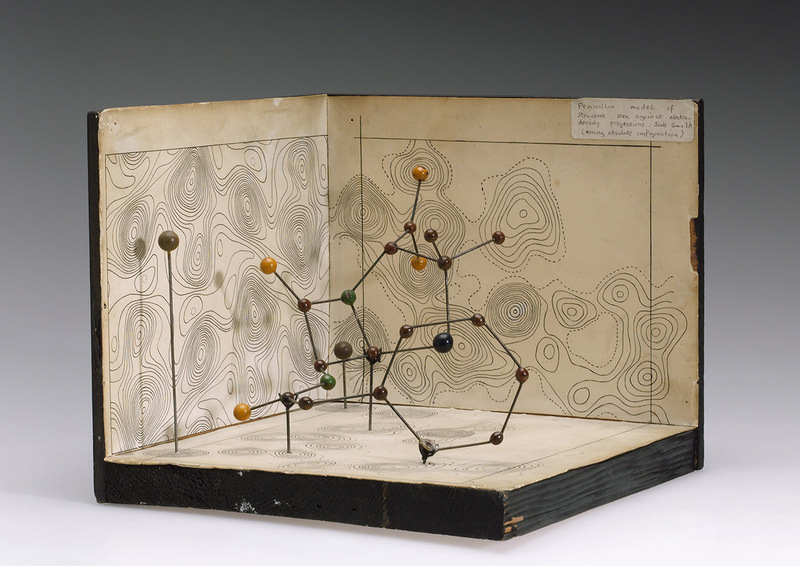 Molecular model of Penicillin by Dorothy Hodgkin, c.1945. Front three quarter. Graduated grey background. In 1930, Cecil George Paine, a pathologist at the Royal Infirmary in Sheffield, attempted to use penicillin to treat sycosis barbae, eruptions in beard follicles, but was unsuccessful. Moving on to ophthalmia neonatorum, a gonococcal infection in infants, he achieved the first recorded cure with penicillin, on November 25, 1930. He then cured four additional patients (one adult and three infants) of eye infections, but failed to cure a fifth. In 1939, Australian scientist Howard Florey (later Baron Florey) and a team of researchers (Ernst Boris Chain, Edward Abraham, Arthur Duncan Gardner, Norman Heatley, M. Jennings, J. Orr-Ewing and G. Sanders) at the Sir William Dunn School of Pathology, University of Oxford made progress in showing the in vivo bactericidal action of penicillin. In 1940, they showed that penicillin effectively cured bacterial infection in mice. In 1941, they treated a policeman, Albert Alexander, with a severe face infection. His condition improved, but then supplies of penicillin ran out and he died. Subsequently, several other patients were treated successfully. In December 1942, survivors of the Cocoanut Grove fire in Boston were the first burn patients to be successfully treated with penicillin. By late 1940, the Oxford team under Howard Florey had devised a method of mass-producing the drug, but yields remained low. In 1941, Florey and Heatley travelled to the US in order to interest pharmaceutical companies in producing the drug and inform them about their process. 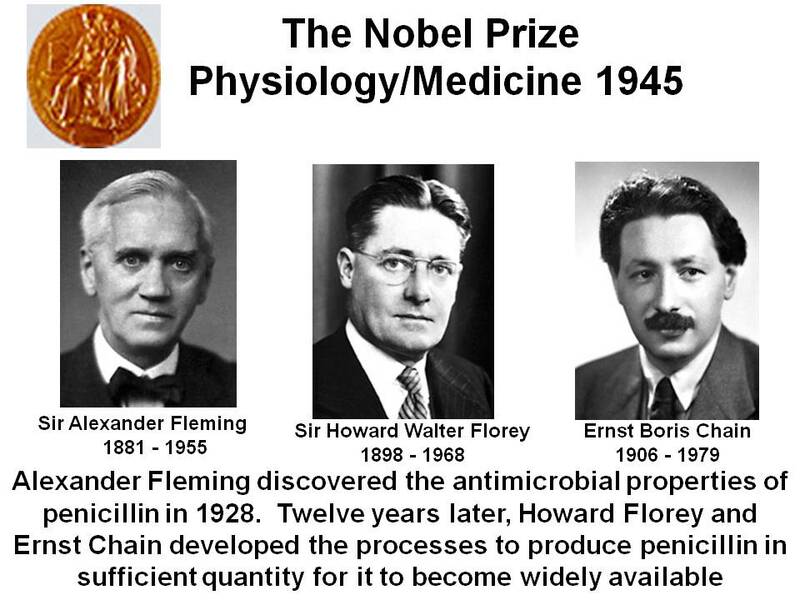 Florey and Chain shared the 1945 Nobel Prize in Medicine with Fleming for their work. 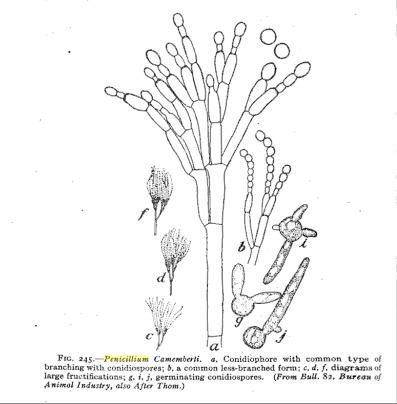 Several species of the genus Penicillium play a central role in the production of cheese and of various meat products. Penicillium molds are used for Blue cheeses in general. Penicillium camemberti and Penicillium roqueforti are the molds on Camembert, Brie, Roquefort, and a host of other cheeses. Penicillium nalgiovense is used to improve the taste of sausages and hams, and to prevent colonization by other molds and bacteria. Penicillium camemberti is one of the most common molds used for cheese production. 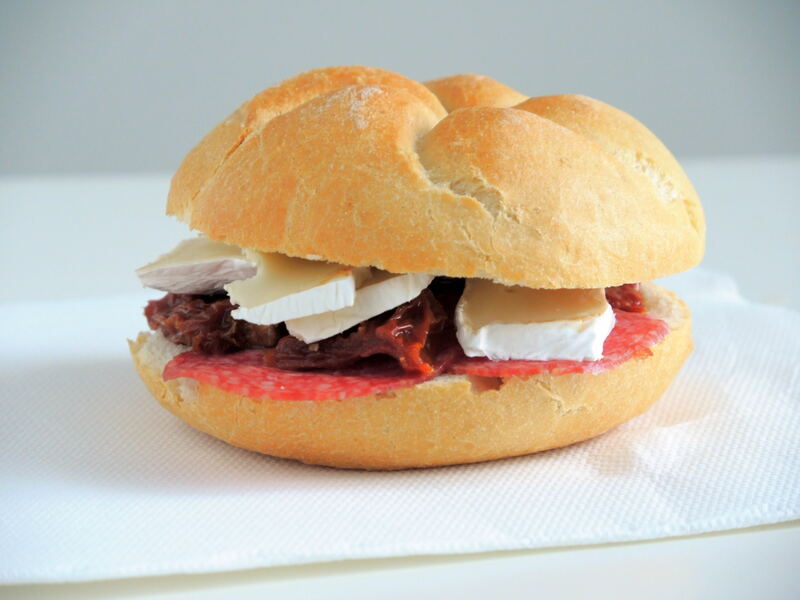 It is used to make Camembert, Brie, Langres, Coulommiers and Cambozola. Colonies of P. camemberti form a hard, white crust on these cheeses, and is also responsible for giving them their distinctive taste. With that information I’ll leave you to it. 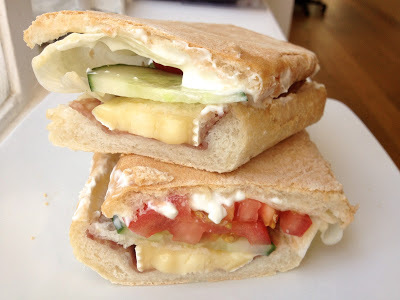 I’m thinking of camembert and salami on a crusty roll – probably toasted or grilled. I’m sure you’ll think of something.